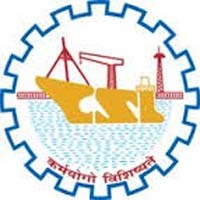 Cochin Shipyard Recruitment 2019 – CSL scheduled for 50 Ship Draftsman Trainees & 34 posts of Project Officers in various disciplines. The detailed eligibility criteria and application process are given below. Educational Qualification: Pass in SSLC and Three year Diploma in Engineering in Mechanical / Electrical disciplines issued by a State Board of Technical Education with 60% marks or equivalent qualification with flair for Draftsmanship and proficiency in CAD. In Phase I, the question paper for Objective type Online test consists of two parts- General (Part A) and Discipline related (Part B). Part A comprises of General Knowledge, General English, Reasoning and Quantitative Aptitude. Based on the marks secured by the candidates in the online test, the candidates shall be short-listed for certificate verification. Candidates who successfully complete the certificate verification will only be allowed to attend the Practical test. For Phase II (Practical test), candidates are required to prepare a drawing using CAD. Mode of Payment: Online mode through Debit card/Credit card/Internet Banking. 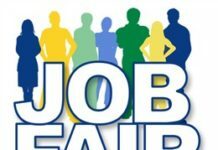 How to apply Cochin Shipyard Recruitment 2019? All interested and eligible candidates can apply for this position in online from 17 April 2019 to 2 May 2019. Shortlisting of candidates will be done based on the performance of Personal Interview. 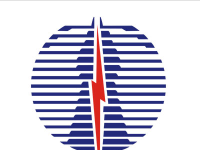 Interview Centre: Cochin Shipyard Limited, Kochi. All interested and eligible candidates can apply for this position in online latest by 24 April 2019. After submitting successfully, send a print out of application form along with required documents to the following postal address on or before 30 April 2019.